This column concerns a number – 15, the number of years that Wikipedia will have existed when its birthday arrives Friday – but first let’s consider a Wikipedia-related tale about another number: pi. If you write out the decimal expansion of pi, after 762 of its infinite and random digits, you will come to something that looks oddly non-random: six 9s in a row. Then the digits go back to looking random. The six 9s are sometimes called the “Feynman point” after physicist Richard Feynman, who was something of a jokester. He once said in a lecture that he would like to memorize several hundred digits of pi so he could say them out loud and end the recitation with “nine nine nine nine nine nine and so on,” suggesting in a tongue-in-cheek manner that the nines continue endlessly, which would mean pi is a rational number. Since pi is, of course, irrational, that would be a pretty good joke by the standards of mathematics humor. As far as we have been able to discover in months of research, this anecdote was first stated publicly by Douglas Hofstadter of Godel, Escher, Bach fame, as part of his Scientific American column in the late 1990s. It was attributed to Feynman in a 2001 book titled Pi Unleashed, but that book gives no source for its claim. When I queried Feynman’s biographer, James Gleick, he wrote in an email that his research never encountered evidence that the physicist said such a thing, although he couldn’t be certain. With this is hand, the name of the Wikipedia article has since been changed to “Six nines in pi,” and Hofstadter’s column has been referenced. I’m trying to reach Hofstadter to see if he has a comment. Turns out that Wikipedia can generate new knowledge, not just disseminate existing knowledge. Pretty cool! But then, despite its many flaws, Wikipedia has always been cool. Or at least intriguing. It is now the default source of information for most Google searches, making it perhaps the biggest information resource on the planet. “The big thing I’ve noticed is that articles have gotten very thorough – maybe almost over-thorough at times. Pretty much anything you might have a question about, Wikipedia will have an article and it’s going to go a long ways, with all sorts of detailed information,” said Ken Gallager. Gallager is one of the people who has made Wikipedia what it is since it was started as an experiment in crowd-sourced information back in January 2001. A state employee and admitted fan of encyclopedias, on his own time Gallager has taken to improving articles about New Hampshire and New England, particularly the geographic elements. He’s been at it since 2006, operating with a quiet thoroughness, avoiding controversial articles. If you ever use Wikipedia for local information, you can probably thank him for part of what you discover. “I’ve heard from people who say: Every time I land on an article about a river in New Hampshire I find a picture by you,” he said. I predate Gallager’s wiki work, because I started playing with Wikipedia in 2003, when it first drew public attention after hitting 100,000 articles. I thought it was a fun example of the weird stuff created via the fairly new thing called the internet. I wrote about it several times that year, calling it an intriguing experiment that wouldn’t last. So much for my predictive abilities. Today, the English-language version has about 5 million articles, and Wikipedias exist in 291 languages, 12 of which have more than 1 million articles each. In fact, 45 different language Wikipedias, including those in Chechen, Minangkabau and Esperanto, have more than the 100,000 articles which seemed astonishingly huge back in the day. If you’re interested in celebrating this success, you might want to head to Harvard University on Saturday for a Wikipedia 15th Birthday Bash. Lots of gatherings are taking place around the world; this is the closest I can find. Weinstock said anybody is welcome, from wiki-newbie to grizzled veterans. You might even become a regular. “Depending on the year, we have local meetings for organization, for chatting about Wikipedia or wiki-commons or any of the Wikipedia comments. Other times, individuals organize edit-a-thons to try to encourage people to add a particular topic area, or to help people learn how to edit Wikipedia,” she said. I’ve never found similar Wikipedia-related gatherings in New Hampshire. If I’ve missed any, please let me know. The Boston gathering runs from 4 to 8 p.m. on Saturday in room 403 of Boylston Hall. Check the website (meta.wikimedia.org/wiki/Wikipedia_15/Events/Boston) for more information. This celebration does not mean Wikipedia doesn’t have problems. It does, many of them, including a raft of bad information, vandalism and self-serving fluffery. Of more concern are problems with participation. Wikipedia has moved beyond the “encyclopedia of Lord of the Rings fanboys” stereotype in 2003 it still has a real shortage of women participating in editing and writing, which is reflected in the types and detail of articles you’ll find. Worse, there is a long, slow decline in the number of people actively editing and writing articles in the English-language Wikipedia. It’s not clear exactly why this is happening, although there are plenty of theories. One theory is that the entrenched culture is unforgiving to new editors. Chances are your first efforts to edit will be undone by somebody more experienced, probably with no explanation. While this is true, Wikipedia has been unforgiving almost since I started, so I’m not sure how important this is. Another theory is that the editing process has gotten too convoluted for most people to bother with, full of markup for footnotes and pictures and infoboxes and links and what-have-you. That’s also true, and I suspect it’s part of the problem. Another theory is that fewer people contribute because there are fewer obvious articles to create or gaps in existing articles, so it’s harder to find something fun to do. I suspect this is the biggest cause of a slowdown in participation. 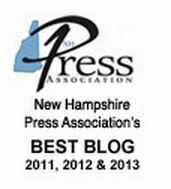 Improving grammar or updating the population statistics for Concord isn’t as exciting as making an entirely new article like “White Mountains (New Hampshire)” or “United States presidential primary,” both of which I created in early 2003. So why bother? Unless, like me, you’ve gotten in the habit.